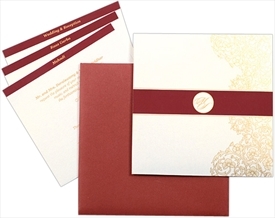 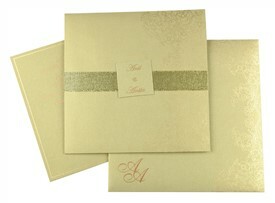 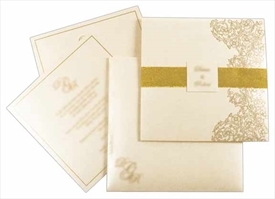 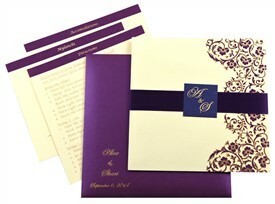 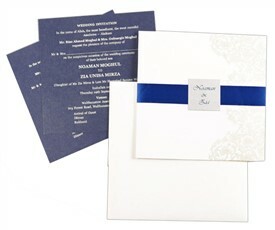 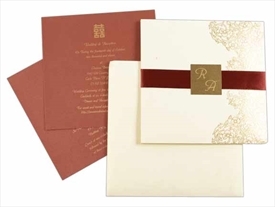 D-5815, Cream Color, Shimmery Finish Paper, Ribbon Layered Cards, Designer Multifaith Invitations. 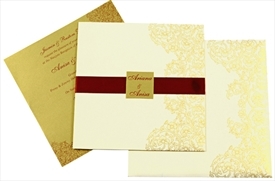 The front has motif design and satin ribbon in center with a silver square on top for initials or logo of your choice. 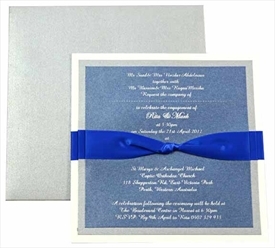 The inside top has satin ribbon pasted in form of knot. 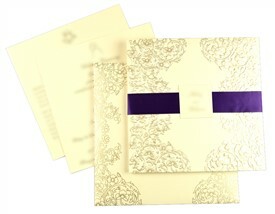 Shimmery finish cream paper (250gsm) for jacket style card and mailing envelope. 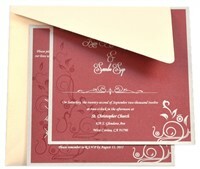 Maroon satin ribbon and silver color paste-up on front and on inside. 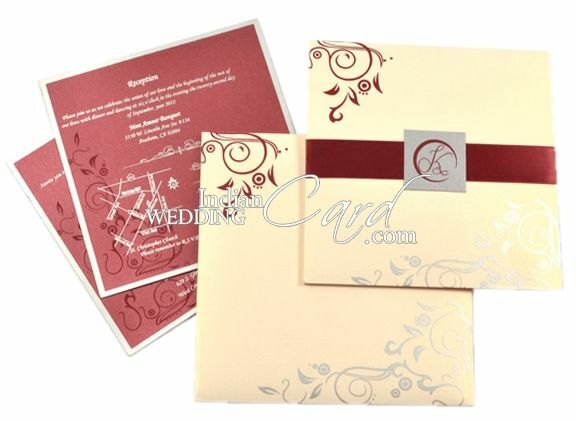 1 insert also in maroon shimmery paper. 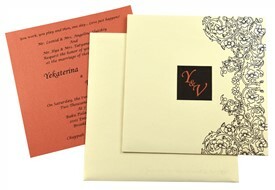 Silk Screen Printing in matching colors to paper.